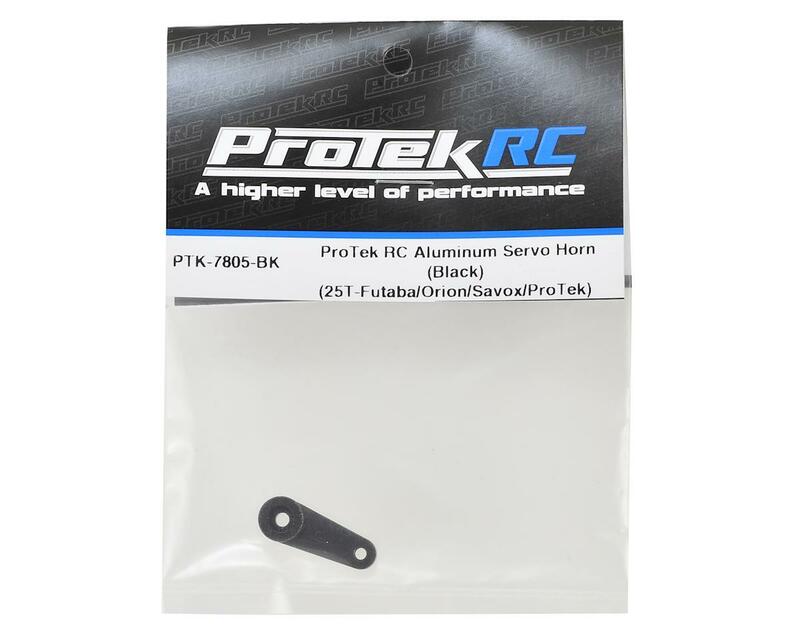 This is a ProTek R/C Aluminum Servo Horn, and is intended for use with any servo that uses a 25 tooth spline output shaft. This extremely tough servo-horn has been machined from a solid block of aluminum for incredible precision, rigidity and durability. 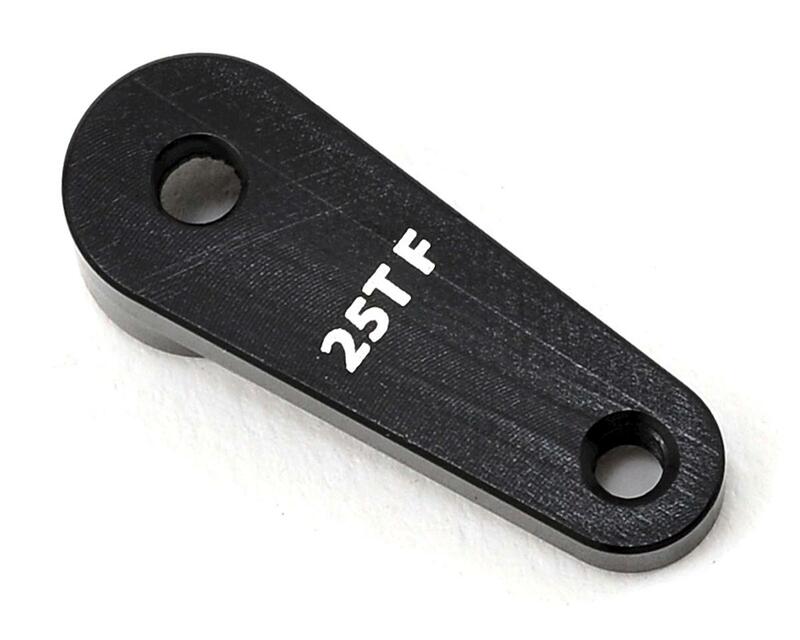 This horn features a 3mm thick arm for durability, has 19mm hole spacing and uses 3mm hardware to suit the geometry and hardware requirements of most vehicles. Note: Due to manufacturer tolerances, this servo horn may be a tight fit with certain servo brands. This new ProTek RC servo horn looks perfect in my 1/8 and 1/10 vehicles. The black finish accents the new black ProTek servos perfect. Great product, and one of my favorites. Got one of these. The fit on the servo spline is super loose. It wobbles all over the place until screwed tight and then if your torque it the fit is off. Tried it on a futaba servo and radiopost with the same outcome. Maybe they got a bad batch or something but I am not happy with mine. They did issue a refund for it but I doubt I will purchase another one.